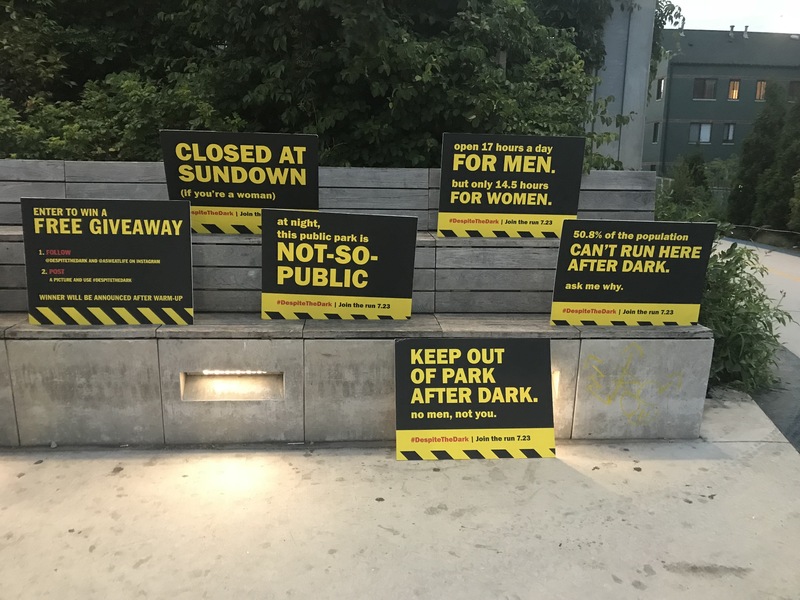 #DespiteTheDark invited both male and female runners to The 606 to shed light on the dangers and start a conversation on women's safety running at night. 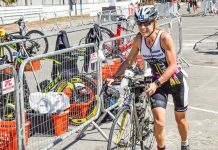 Endurance athletes often lead busy lives; between juggling a job, day-to-day chores, family and a social life, making time for training can be difficult. For women, it’s even more difficult. Sixty percent of women limit their training time to day-time hours, as opposed to 14 percent of men, as they are more at risk for being harassed, assaulted, raped or even killed. 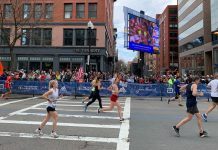 Over the past few years, runners around the world have tried to raise awareness for female athletes, but unfortunately, safety is still questionable. In fact, just this week, a college student from Iowa went out for a jog at night, and has not been seen or heard from since. It seems these cases are growing, and a local organization wanted to take a stand. 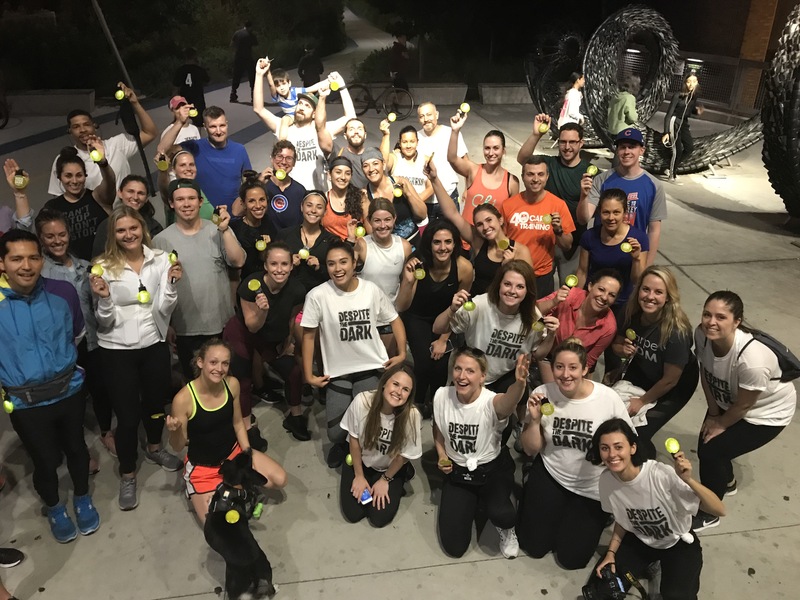 On Monday, an all-female group of interns from Chicago-based ad agency Cramer-Krasselt led an after-dark run to talk about and provide resources for a safer running community, specifically for women, after dark. The event was titled #DespiteTheDark, and invited both male and female runners to The 606 running trail in Wicker Park to educate the public about the real dangers women runners face, and to promote running safety. Ali Barzyk, one of the interns, shared specific safety tips to be prepared in case of danger. She suggests always carrying some form of ID and extra cash or a bus card in case you need to get out of a bad situation quickly. Barzyk also encouraged runners to wear reflective gear at night, and try running with a buddy or group to make you less vulnerable. Planning your route ahead and being aware of your surroundings is also crucial when running at night, especially when alone. Another local group, aSweatLife, was at #DespiteTheDark, and members promoted its motto, “everything is better with friends,” by offering an outlet for safe group running opportunities. 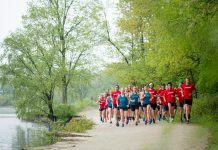 There are dozens of local training and running groups throughout the city and its suburbs, and by joining one, athletes can open up their training availability, and make new friends – a win-win! After participants ran or walked on The 606, there were games and giveaways, along with informative safety handouts. The #DespiteTheDark campaign didn’t end on Monday night, however. Visit despitethedark.com to obtain more safety tips, learn self-defense tactics, and generally join the conversation and help shed light on the issues surrounding women’s safety running at night.